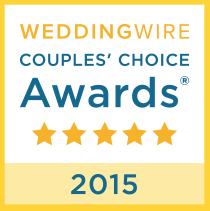 "We just wanted to say thank you for all of the energy and care that you put into our wedding. We had such an amazing experience and we owe a lot of that to you. I really appreciated you holding my hand along the way. The flowers and centerpieces were beautiful and you did an amazing job on making my vision come to life! AND, I really appreciated you working with my budget. You also did an amazing job as our Day of Coordinator."